Watch for news about LindArt on this link. July at GML is designed for the Fine Arts Colony – LindArt, an artist-led initiative that the GML organizes since 1994. LindArt is today led by artist and custos Dubravko BAUMGARTNER. From a need of professional training of local young talents, LindArt grew into a unique art project/manifestation. How to apply to the Fine Arts Colony LindArt? 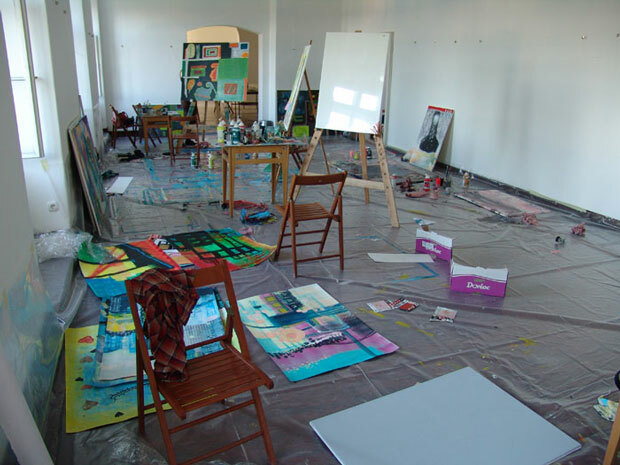 It strives to provide such a meeting place for emerging artists who are working within the so called “traditional” visual disciplines (painting, drawing, fine print and sculpture), where the participants are offered an opportunity to participate in an activity that is both geographically and conceptually removed from their usual studio practice. A somewhat romantic idea of artists hanging out in an environment, where creative risks can be made, never lose its seriousness and professionalism. Each colony has offered different interesting mentors, who managed with their outstanding knowledge and attractive methods, attract attention of participating young creators. In terms of performance, 2007 meant a big step forward; our aspirations to refashion LindArt as an exemplar art project, fetched out an entirely new structural concept of the colony. If previously preference was given to local/regional artistically gifted teens, now the doors wide open to all artists under 35 years of age. Annually a call for participation is published at web portals of different art organizations. On the basis of received portfolios GML’s commission selects and invites up to 12 artists from different countries. Why LindArt is unusual? The participating artists are randomly paired off; thus works produced during the residency are a product of creative cooperation of two artists. The platform of the residency was build upon a critical reflection about the nature and character of relations, connections, and all sorts of collaborations within our modern society. Inspired by the modern technology they’re becoming less and less personal in our opinion. Tandem work is thus a special (artistic) stimulation, not only for a compromise and tolerance, but/and in particular for upgrading of it. Exceeding one’s own (artistic) thinking and showing willingness to put oneself into a position of real research and acceptance of other(ness). Artists usually create alone in their studios and are not used of direct teamwork. Therefore, LindArt requires a great deal of openness as well as creativity, a distance from routine or mere reproduction. Only a shift to (genuine) creative thinking will give an assurance of “survival”. LindArt seeks to promote the respect of cultural diversity and dialogue; moreover strives to raise awareness against discrimination and/or social exclusion, racism and xenophobia. But we can’t overlook the promotion of our region and trial of bringing contemporary art closer to “simple man”, as well as enrichment of the GML’s art collection. The Colony usually ends with the opening of an exhibition of works created during the workshop. Its special feature is the so called “public’s choice” award; visitors of the opening ceremony can vote for the artist-duo of their choice and thus co-decide which two artists will return to Lendava with a solo show. 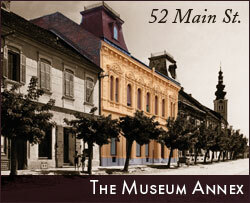 All works are digitally documented and archived to the art collection of the Gallery-Museum Lendava. Our collection currently contain over 400 works of utmost importance. On one hand are this works that were created during the research or growing up process of an emerging artists, on the other hand works created by “random” tandems, works that cannot be found in any other collection.